Newt Collinson brings 25 years of leadership and experience to Warrior2Citizen. 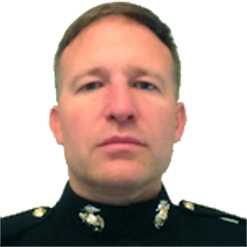 After completing his degree at Furman University in 1991, Collinson took on the challenge of OCS in Quantico, VA in 1992 to become a Marine Corps officer, serving four years on active duty and two years in the reserves. He served with the 9th Communications Battalion, 1st ANGLICO and 3rd Force Reconnaissance Company. He would not trade his time in the Corps and the lifelong friends he made there for anything. After active duty, Collinson earned his Master’s degree at Georgia Tech’s College of Management in 1998. He then embarked on a career at INVESCO. In 2006, after eight years in institutional sales and marketing in the investment management industry, he led a buyout of his family’s small publishing business and with his father and brother built it into a professional media and events company. Collinson served as president of Collinson Media & Events until 2014 when he divested of his company shares. He now focuses his efforts on investments, mentoring other business leaders and military veterans, and volunteering and supporting non-profit causes he and his wife support, including Warrior2Citizen, Christian Leadership Concepts and The Rally Foundation. He serves on the Atlanta area board for Christian Leadership Concepts, a men’s ministry, and became a board member of Warrior2Citizen in January 2016. Extracurricular activities include his men’s Bible study, traveling with his wife and three sons, and any outdoors activity that involves adrenaline – particularly off-road motorcycling.